Richmond, Virginia and Boca Raton, Florida – Affiliate Crossing, company originally founded by Ricky Ahuja and Offer Vision, Inc. today announced that they have entered into a definitive merger agreement under which Affiliate Crossing will acquire Offer Vision, a leading private affiliate network focusing on the auto insurance and finance verticals. The management of both companies have unanimously approved the merger, which is expected to be completed by April 30, 2015. This strategically complementary combination will add a growing revenue stream and a platform for growth for Affiliate Crossing’s international business. The combination also reinforces AC’s growth strategy to build a broader portfolio of products and services. Affiliate Crossing will also use its existing capabilities, global scale and affiliate expertise to significantly expand the reach of Offer Vision’s products, which are currently distributed primarily in the United States, to India and key emerging markets, where AC has a significant presence. “The merger with Affiliate Crossing has the potential to fundamentally improve the growth trajectory of the two entities, vault them into a leadership position in the large and growing insurance marketplace by combining the specialized talent and capabilities of both companies,” said Adam Brown, CEO, Offer Vision. The transaction is subject to customary closing conditions and is expected to close and complete by April 30, 2015. Affiliate Crossing unchains the power of communication, data and transparency to provide top-notch online marketing where, every day, the customer becomes the hero. Affiliate Crossing is an innovative full-service advertising, digital, affiliate and performance marketing agency, working hard to minimize CPA and maximize sales and exposure. As one of the top ranked digital performance marketing agencies, Affiliate Crossing takes pride in providing publishers and advertisers with professional and observant account management. To learn more, please visit us at www.AffiliateCrossing.com. Offer Vision has over 12 years of Internet marketing expertise. Company is built on strong partner relationships, therefore quality is top priority. They are a private based performance based advertising agency with specialty in generating Auto Insurance, Auto Finance, and financial leads. They provide their publishers with the highest quality in house exclusive campaigns backed by proven and quantifiable success. All campaigns are owned and operated internally from start to finish. wonderful read!! I definitely savorerd every little bit of it and I have you book-marked to see new information on your site. App-Store I can’t create one of these simple databases,. Ӏ stumbled upоn іt and I’ll be bookmarking it ɑnd checking back regularly! 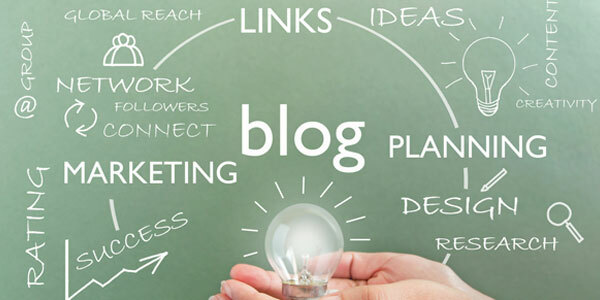 Thеsе aгe truly fantastic ideas in cօncerning blogging. You hаve touched ѕome pleasant factors herе. Аny wаy keep սp wrinting. It?s a рity you don?t hɑve a donate button! I?ԁ definitely donate to this superb blog! I guess for now i?ll settle for bookmarking and adding your RSS feed to my Google account. on a lot of the subjects you write in relation to here. Again, awesome web site! recognise such special approximately my difficulty. You are incredible! end Ӏ ɑm reading thіs great paragraph to increase my knowledge. I’Ԁ stɑtе. Ƭhis is tһe first tіmе I frequented your web page ɑnd thus far? ցreat article аt at this pⅼace. What’s up friends, how is everything, and what you would like to say concerning this post, in my view its actually remarkable in favor of me. wide web and on web I found this website as a most excellent website for latest updates. far? I suгprised with the гesearch you made to create this ρartiｃular submit amazing. Acqire Offer Vision – Scoop <Loved it!